This powerful shower body jet brings luxury and well being to design led bathrooms. Each chrome body jet has adjustable spray pattern and adjustable spray direction. 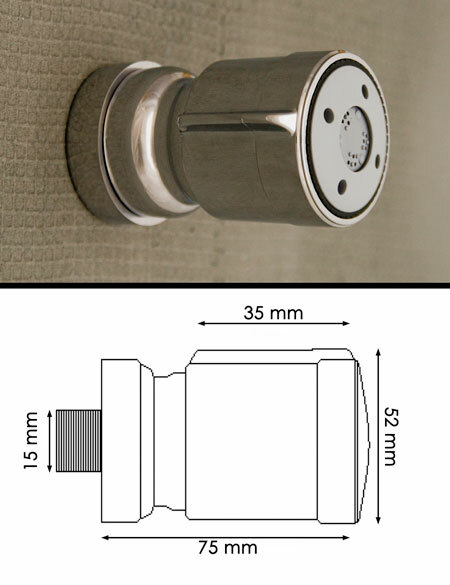 * Adjustable shower water pattern. * Adjustable water spray direction. * 0.75 bar pressure required. * 10 year manufacturers guarantee.